Children's Corner is a suite for solo piano by Claude Debussy, completed in 1908. It is dedicated to Debussy's daughter, Claude-Emma (known as “Chou-Chou”), who was three years old at the time. The pieces are not intended to be played by children; rather they are meant to be evocative of childhood. 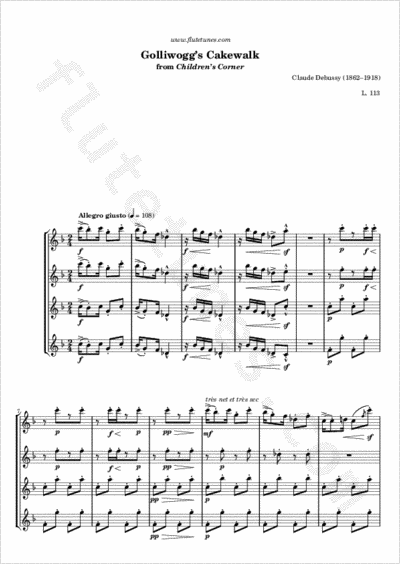 There are six pieces in the suite, each with an English-language title, a choice reflecting Debussy's anglophilia. The last piece, “Golliwogg's Cakewalk”, is the most rhythmic piece of the collection, inspired by the lively Afro-American cakewalk dance. 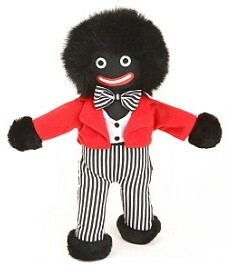 Debussy imagined it being danced by Golliwogg (aka Golliwog), a character of children's literature, inspired by a blackface minstrel doll. The middle section of this cakewalk is jokingly interrupted on several occasions by quotations of the opening of Richard Wagner's opera Tristan und Isolde, marked avec une grande émotion (“with great feeling”). Each quotation is followed by a sort of musical chuckle in staccato chords.